Addiction is a serious illness that can have profoundly negative effects on a person’s life and create a number of issues that are too complicated to handle alone. It is important for everyone with an addiction to seek some kind of treatment so that they can have the opportunity to learn how to be sober through professional help. When it comes to choosing where to go for treatment, there can be plenty of options to choose from and each individual must figure out what will be the best situation in order for them to feel completely comfortable and at ease in their environment. Researching and spending time choosing rehab program that will work for you can help to ensure that you get the most of out of your time spent in recovery. Different rehab facilities cater to various needs and you will need to consider your own unique issues to find the treatment program that will work for you. When you first begin looking at options for drug rehab Los Angeles you will need to think about what type of environment you need, what your insurance will cover, what your responsibilities are at home and how long you will need to stay in recovery. For some people, the cost may not be an issue and they might prefer a luxury facility so that they will feel more comfortable and relaxed in an environment that feels therapeutic to them. Others might simply need a treatment center that their insurance will cover so that they will not have to worry about financial issues and can focus completely on their rehabilitation. These are important things to consider before making a decision on a facility. It is a good idea to review a few different treatment centers and talk to them about their amenities, treatment schedule and any other options that are important to you so that you have a few facilities to review before narrowing it down to one. One of the major decisions that people entering rehab will have to make is whether they want to enroll in inpatient or outpatient treatment. People that are more concerned about their ability to stay sober because they have been using drugs or alcohol on a regular basis for many years tend to choose inpatient treatment. One of the biggest advantages of choosing inpatient drug rehab Los Angeles is that patients reside in the facility for the entire duration of their treatment. This could be a month or a few months depending on the program and the specific needs of each individual. Living in a treatment center for that amount of time allows each patient the chance to completely immerse themselves in recovery and take themselves out of the type of surroundings and situations that often led them to substance abuse. People with very severe addictions or co-occurring disorders benefit the most from inpatient treatment because they are provided with structure, education and therapy every day. In the facility there are strict rules and guidelines which will keep patients safe and prevent them from relapsing during treatment. 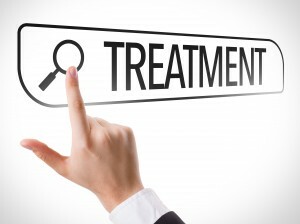 What Happens In Inpatient Addiction Treatment? When people seeking recovery choose inpatient treatment for their rehab program they will move into the facility for a few months and have all their days scheduled for them. They might have their own room or a roommate, and will be provided with nutritious meals for breakfast, lunch and dinner. The amenities of each facility are different but many might include a gym or a pool and some facilities might have more options like music and art classes. Each day includes scheduled activities including meal times, group sessions, educational seminars, chores, individual therapy, twelve step meetings, exercise, meditation and many other activities depending on the program. It is helpful for people in recovery to have a rigid structure to their day so that they not faced with too many triggers and can work hard on improving their mental and physical health in different ways every hour. Inpatient treatment is a great place for patients to bond with one another and learn to develop a support system with their peers who are also living in the facility. One aspect of inpatient addiction treatment that can be difficult for patients is the transition from living full time in a facility to being on their own at home without the support of a team of professionals on hand at all times. There is more of a jarring shift for people who choose inpatient so it is important for them to have a plan for continuing care in place before they leave the facility. They can transition to outpatient or simply keep attending group meetings and check in with treatment staff who will monitor their progress. Inpatient treatment can have many benefits but often the most difficult part of recovery is learning how to stay sober while living at home and functioning in your daily life. Rehab programs usually work hard to provide patients with the skills they will need in the future so that they can stay sober permanently. The focus of rehab should really be on long-term recovery goals which means being able to be sober independently and live your daily life without being tempted to relapse. People who make the decision to use an outpatient rehab may have less of a dramatic shift when leaving treatment but they need to be under certain circumstances to choose this option. When someone has a very severe addiction and is concerned about the triggers and temptations they face at home then outpatient may not be a good choice. However, for those with less serious addictions or who feel stable enough to handle living at home while receiving treatment, outpatient can be equally effective for them. With outpatient treatment, people have the ability to care for their family or still attend work while going to therapy and group meetings at times that work for them. For those that have too many responsibilities or find it hard living away from home, outpatient gives them the chance to still get high quality, professional treatment without having to be a resident. Treatment on an outpatient basis means having regular access to many of the same core activities in residential treatment. You will meet with a therapist for individual sessions and also be involved in group meetings so that you can still feel like part of the recovery community. People in the outpatient program can also be provided with medication and monitored by a physician to help them manage any cravings or existing mental health issues that need to be addressed. While outpatient programs can be effective, they are also typically less intensive than most inpatient options. Prior to enrolling in rehab, it might be a good idea to get an evaluation by an addiction professional to determine if you would be best suited for inpatient or outpatient treatment. Many recovery centers offer an initial assessment to give you a better idea of how serious your addiction, physical and mental health may be to help you decide on a program. When you are ready to enter treatment and have made a choice about the type of facility that you want to attend for rehab you will also have to make arrangements for detoxification before moving forward. Most recovery programs require that patients entering residential drug treatment or in some cases outpatient treatment as well, must complete a detox program. In some situations, detox can occur in a setting that is different from the actual rehab facility because it is a stand-alone program that must be completed before moving on-site. Other residential programs choose to incorporate a structured detox program that is considered part of their treatment. Whatever the case may be, detox is a crucial first step that helps prepare you for the kind of work you will do in rehab. Without detoxification, patients may struggle with their physical dependence and it can cause more problems in the long run. Detoxification is essentially a period of time in which a person with a serious addiction refrains from any substance abuse. Avoiding drug use completely, aside from prescribed medication, can help the body cleanse itself of the toxic chemicals that are causing physical health problems and dependency on the drug to function. The length of stay in detox can differ for each person based on the type of drug they are addicted to, the quantities they were consuming and how long they have been using it. A short detox stay might be about 3 days while a longer stay for a more serious addiction could be a week or more. Medical staff need to make sure that the patient has gotten rid of all of their withdrawal symptoms and any intense physical cravings. Once detox is completed, most patients feel physically healthier and more in control of themselves. The process of detox helps them feel strong enough to take on the type of intensive treatment that is part of residential rehab. Once you quit using a drug, your body exhibits withdrawal symptoms because it has come to rely on that drug to function. Withdrawal symptoms are usually uncomfortable and sometimes painful physical reactions to the toxins leaving your body. While there is no way to completely avoid experiencing withdrawal, the staff at a detox treatment center will do all they can to make sure that patients are safe, healthy and as comfortable as possible throughout their detoxification. Depending on their symptoms, some patients may be provided with medication to help them get through the process. Withdrawal can cause sleeplessness, aches and pains, nausea, sweating and a number of other physical issues for a few days. For patients addicted to opiates, they may have very intense cravings for the drug and can be provided with a substitute medication such as methadone during detox. Other more mild addictions may not require medication but patients will still be given 24 hour access to medical supervision and care so that they get through detox successfully and don’t run into any significant problems. Medical care is vital to detox because many people who attempt to quit “cold turkey” in their own home might experience dangerous health issues or they could end up having a relapse and a deadly overdose. Detox centers offer their services to help people face their addictions and get through withdrawal safely so they can begin to path to permanent sobriety. Although there are different ways to go through rehab and each person can have their own unique experience, completing treatment can have many personal benefits no matter what the situation. Rehab is a place to develop understanding of the self and the many complicated factors that lead to addictive behavior. Inpatient treatment can give you more time to spend on personal growth and will put you in an environment where you will not be distracted by anything else. Outpatient treatment can help you become accustomed to being sober in your own daily life and give you real experience learning how to cope with stress without turning to substance abuse. Therapy sessions can be a place to finally confront some of the problems in your life that may have been unresolved for many years. Talking about personal issues with professionals and with a group of peers is a very cathartic experience that can truly transform people and improve their lives. Rehab always produces positive change as long as patients stay committed to their goals and listen to their treatment team. No matter what type of Los Angeles drug rehab centers you choose you will be able to benefit from recovery treatment and witness how it can change your life for the better.